Ghlee T. (G.T.) Cozad III, president of Cozad Commercial Real Estate, Ltd., has been elected to the Midwest BankCentre West Region Advisory Board. As president of Cozad Commercial Real Estate, Ltd., Cozad directs the firm’s brokerage, property management and marketing activities. He provides commercial real estate brokerage services, develops new business and supports human resource initiatives, including employee development. Founded in 1987, Cozad has grown to rank among the top real estate and property management companies in St. Louis. 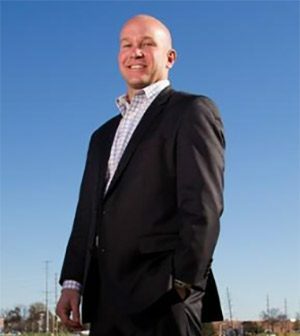 Cozad received his bachelor’s degree from Purdue University in West Lafayette, Ind., and his master’s degree in business administration from Saint Louis University, St. Louis, Mo. He serves as a member of the board and as real estate chair for Easterseals Midwest. Midwest BankCentre has been a mainstay of St. Louis community banking since 1906. Currently, it ranks among St. Louis’ largest locally owned banks with assets of about $1.9 billion and deposits of $1.4 billion. It provides integrated financial services with expertise in commercial, retail and digital banking; business cash management; mortgage lending; consumer lending; and insurance. The bank is a local leader in the St. Louis Regional Unbanked Task Force and its Bank-On Save-Up St. Louis initiative. Since 2001, Midwest BankCentre has consecutively achieved the Bauer Financial 5-Star Superior financial rating each quarter. Midwest BankCentre, founded in St. Louis in 1906, employs a staff of 300 currently working at 19 bank locations in the City of St. Louis, St. Louis County, Jefferson County and St. Charles County. In April 2015, it acquired Southern Commercial Bank, formed in 1891. In July 2016, it purchased Bremen Bank & Trust Co., founded in 1868.